For those that haven't heard, a new Guild Pub is opening on Gehn Shard in the next update! 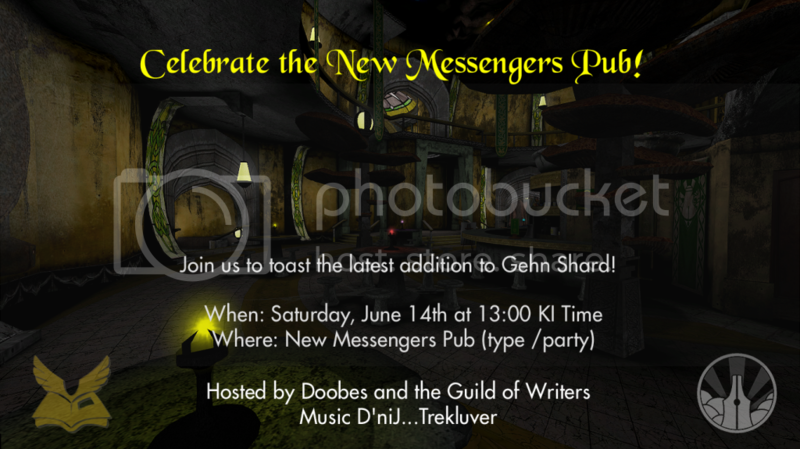 To properly break in this new establishment (and to celebrate the GoW's excellent work for Gehn.20), the Guild of Messengers and Guild of Writers are hosting a party! The festivities will be on Saturday, June 14th at 13:00 KI Time in Gehn Shard. 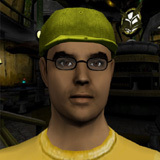 When you get into the cavern, type /party to be Linked automatically. I will be your host while D'niJ Trekluver will provide the music. His stream will be at http://pubparty.listen2myradio.com/ or http://50.22.218.73:14166/ . VLC is the recommended media player or you can use the in-browser link. Last edited by Doobes on Wed May 28, 2014 3:32 pm, edited 3 times in total. Really cool! I can't wait to see it! My version of windows XP will not work with this update?